December | 2014 | Sonic Smash-Music! The pop singer known as Lena Williams has released her latest official single track, “Keep My Name Out Ya Mouth.” The single has been proudly published as an independent music release without the involvement or interference of the corporate music infrastructure. Catchy, direct, powerful, elegant and feminine, “Keep My Name Out Ya Mouth” is a track that introduces Lena Williams to her audience as all of these things and much, much more. Music by Lena Williams has subtlety and charm which exudes strength and determination. Her tones are sultry and mellow without ever coming off as quiet or demure. The topics of her songs, songs such as “What U Mad For,” “On Another Planet” and “Touch My Body,” are sensual, autobiographical, and never delivered with a pulled punch. Fans of Williams love her for her earnest lyrics and classy manner of singing, as well as for some of the most well-produced back beats in hip hop anywhere. South-Carolina born Lena Williams has been singing since she was able to talk. Her first formal music experiences came from practicing and performing with church choirs as soon as she was able. By the age of 10, she was writing her own music. Her first group was founded by Williams, herself. She called the group the Dope Girls. At merely 12 years old she was booked as the opening act for Tracy Morgan at McGuire AFB. A job opportunity arising from a promotion in 2013 allowed her to relocate to Atlanta, GA, however. Lena Williams fans, that time is now. “Keep My Name Out Ya Mouth” by Lena Williams is available online worldwide beginning 4 January 2015. Don’t miss it. 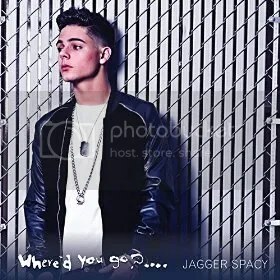 The up-and-coming rapper and songwriter known as Jagger Spacy is releasing his biggest and most widely awaited official music video to date, “Where’d You Go?” The video is based on his runaway hit hip-hop / pop music single by the same name, which made headlines less than one month ago in the last quarter of 2014. Sonorous, heartfelt and extremely catchy, Spacy fans and new listeners alike felt that “Where’d You Go?” was sure to come packaged with an official music video – and Spacy wasn’t about to leave the music world hanging. Hailing from the hip-hop hotbed of Arizona, which derives its characteristic sonic style from not only the ever-popular West Coast rap but also typically the “dirty” south sound and that of the founding capital of hip hop, New York City, Jagger Spacy’s voice and persona immediately recall those of Eminem. Spacy’s “Where’d You Go?” is both more personal and more accessible than much of the music of Marshall Mathers, however, and has been attracting listeners from nearly every music genre. It should perhaps come as no surprise, therefore, that an accompanying music video for the young star’s most successful single should appear, and particularly since the artist’s main aim is to connect with his ever-growing audience. Listeners wishing to get a better introduction to the rapper and singer are encouraged to meet him through his online bio, available for viewing here: http://youtu.be/rCGoMrXoB9A. Watch for the official video for “Where’d You Go?” by Jagger Spacy to become available for viewing online everywhere soon. The popular single that started it all, “Where’d You Go?” by Jagger Spacy, is already available online worldwide. Fans of rap, pop, and hip-hop music should get in early. 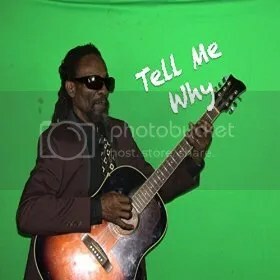 The singer and songwriter of reggae music known as Judah Metaphysic XVI has released his latest LP record album, “Tell Me Why.” It contains 12 original tracks for an approximate total listening time of 45 minutes.The record has been proudly published on the Mind Music Production independent record label, entirely without financial or managerial support from the corporate music industry. Brimming with heart and soul, and pulsing with warmth, spirit and righteousness, “Tell Me Why” is a reggae record coming from the true roots of the traditional sound. Judah Metaphysic XVI cites as main artistic influences such legends of the roots scene as Bagga Judah, Jackie Mittoo, Pablo Black, Bob Marley, Garnett Silk, and many more. He also considers musicians from other genres as important to his sonic creativity, musicians like John Lennon and the Beatles, Nat King Cole, Celine Dion and Julie Andrews. The upshot of all this music is that Judah Metaphysic XVI has a well-rounded, top-shelf style of reggae with a highly polished production and a raw, natural tone. Judah Metaphysic XVI was born in Kingston, Jamaica as the youngest of five children. His father having been killed as a result of political unrest, Judah was raised by his mother from a very young age. He found a broken guitar and glued it together. It had four strings. He took it to 12 Tribe Headquarters (of the Rastafari movement) where it was tuned by Bagga Judah himself. “I started to rehearse with Sangi Davis and Nipty Napty,” writes the singer. “I began to hone my singing skills with the 12-Tribe band. Rehearsal was moved to Bob Marley’s home. After several rehearsals Bob Marley identified me as being ready for the 12 Tribe Show. Judah came to California on tour with the band in 1982. Judah’s life has been based and founded on music, particularly in the form of roots reggae. The following is taken directly from Judah Metaphysic XVI, himself. “Music is the very essence that builds me up. I can hear the sound of music vibrating in my head. I often vibrate these rhythms in my music like that of a mocking bird making musical beats. Writing and singing music is like indulging in a cooking exercise. I used this metaphor of someone cooking a special dish because one has to put in special ingredient to bring out a special flavor. “Tell Me Why” by Judah Metaphysic XVI is available online worldwide. The rapper and producer of hip hop known as Daddy Abe has released his debut LP album, “From Alpha to Omega.” The album comprises 15 original songs for an approximate total listening time of one hour, making for a comprehensive introduction to this powerful and popular rap artist on a mission. It has been proudly published on the Raised Records independent record label without the involvement of the corporate music industry. Booming, grooving, and spirit-filled from its core to its overflowing brim, “From Alpha to Omega” is easily one of the best hip-hop records to ever be released with a gospel message. Daddy Abe cites as main artistic influences Mos Def, Black Twang, Jurassic 5, Klashnekoff, Phi Life Cypher, Talib Kweli, and Damian Marley. His sound and style lean heavily on razor-sharp rhymes and lines, but benefit much from bass-heavy beats and loops which recall the old-school rap artists but also blaze new trails in significant ways. “From Alpha to Omega” by Daddy Abe blends hip hop, rap, dub, reggae, dancehall and gospel music so seamlessly that it’s suddenly surprising a record like this has never been made before. Also notable are the other talents featured on Daddy Abe’s “From Alpha…” record. These include St. Matthew (of Jamaica) Simon Dan (Nucleus Roots Crew) Testament AKA Homecut, Jonny Alpha (Knew Jeru’slum) Khazown and Saint (of RepEntertainment) Danny Gough, and turntables by DJ Leach. Daddy Abe is a UK rapper based in Leeds. He has been an active performer since the turn of the millennium. Select singles from his “From Alpha to Omega” debut record have been played on BBC Radio and by DJ Disorder on Suspect Packages Radio. “From Alpha to Omega” by Daddy Abe is available online worldwide. Get in early. Very early. The duo of poetic jazz and groove music known as Sund’ri Feeling have released their latest LP record, “Accords.” It contains 14 original tracks for a total listening time approaching a full hour. The album has been proudly published on the Artiste de Ma Vie independent record label, entirely without financial or managerial support from the corporate music industry. 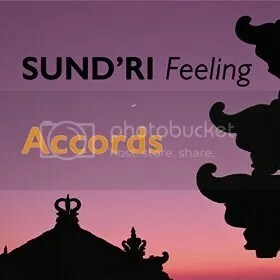 Suave, classy, and full of the spirit of cool jazz, “Accords” by Sund’ri Feeling is an uplifting and exotic jazz record that will appeal to audiophiles everywhere. In terms of composition and instrumentation, they name a broadly various group which includes (among a great many others) Chopin and Rachmaninov, Miles Davis and Jaco Pastorius, Chucho Valdés and Chick Corea. Their music is a flowing, colorful blend of cool jazz, Cuban jazz and Brazilian jazz with subtle flourishes which recall the Paris of the 1940s and ’50s. Sund’ri Feeling is a duo consisting of singer Cendrine Cingala and multi-instrumentalist Richard Layan. Hailing from the French-speaking isle of Réunion, 680 km southeast of the African island of Madagascar, these music makers bring their joie de vivre into focus with danceable, highly textured jazz that begs for the lights to be turned low. Cendrine Cingala began singing before she could walk. Sund’ri Feeling explain that she learned to do it while sitting on the bar in her father’s club. Richard Layan had a more traditional background, being classically schooled at music theory and piano from the age of four to 19. Having picked up guitar along the way at 11, he quickly found interest in jazz and improvisational music. Layan has been educated in music at the master level in France, Brazil, Cuba, and Reunion island with several well-known artists and improvisers. “Accords” by Sund’ri Feeling is available online worldwide. Get in early. 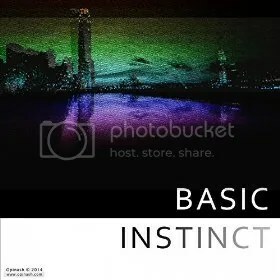 The digital music artist known as Opinash has released his new single track, “Basic Instinct.” The single has been published as an independent release outside the sphere of control of the corporate music industry. It is the latest part of a series of singles from the artist which have appeared in 2014, including such popular tracks as “Liquid,” “Shine,” “People Having,” and “Over the Horizon.” Glossy, melodic and elegant, pulsing, booming and energizing, “Basic Instinct” by Opinash is a digital anthem for fans of every music genre. Opinash cites as main artistic influences such icons and legends of electronica as Kraftwerk, Depeche Mode, Jean Michel Jarre, AWeX, Tom Wax, Jeff Mills, and Laid Back. While inspirations such as these do point to certain attributes of an artist in general, these musicians mean much more to Opinash’s music in particular. His undertones have much in common with Depeche Mode, while his mode of music writing brings together the uplifting, colorful melodies of Kraftwerk and the epic, wordless narratives of Jean Michel Jarre. The result is a refreshingly unique amalgam that demands dancing and effectively works also as music for the casual listener. which is largely responsible for the rise of Europe’s demoscene and helped to shape the future of electronica and house music around the world. Opinash’s first globally distributed independent single, “Rhea,” was released in May of 2012. The entire library of his work since that time is available for sampling from his official site (link provided below) and for purchase at iTunes, Spotify, Google Play, and everywhere else great music is sold. “Basic Instinct” by Opinash is available now. 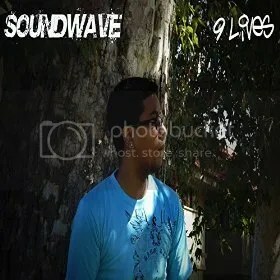 The singer and songwriter of contemporary rhythm ‘n’ blues known as Soundwave has released his latest single track, “9 Lives.” The song has been proudly published on the Emmaculate Entertainment independent music label without interference or financial support from the corporate music industry. Slick, smooth, and endlessly stylish, “9 Lives” stands as proof that Soundwave has a niche carved out for him in today’s thriving R-‘n’-B underground music scene. Soundwave cites as main artistic influences such staple legends of the genre as Michael Jackson, Boyz II Men, Usher, and K-Ci and JoJo. Outside the R-‘n’-B category, he makes mention of Common, the Roots, Flyleaf, Childish Gambino, Blackstar, Switchfoot, and Linkin Park. From this varied list of favorites, Soundwave’s music is most similar to the songwriting of Boyz II Men and K-Ci and JoJo, yet still his own style and tone are too fresh and new for such comparisons to be significant. His vocals on ‘9 Lives’ are the main attraction, though clever lyrics and an unstoppably classy keyboard accompaniment round out the song’s mood, the entire track being founded on a heart-thumping back beat which provides deep and satisfying groove. Soundwave’s aforementioned lyrical prowess means that his songs are infused with urban poetry. Each line is deliberate and finely crafted.